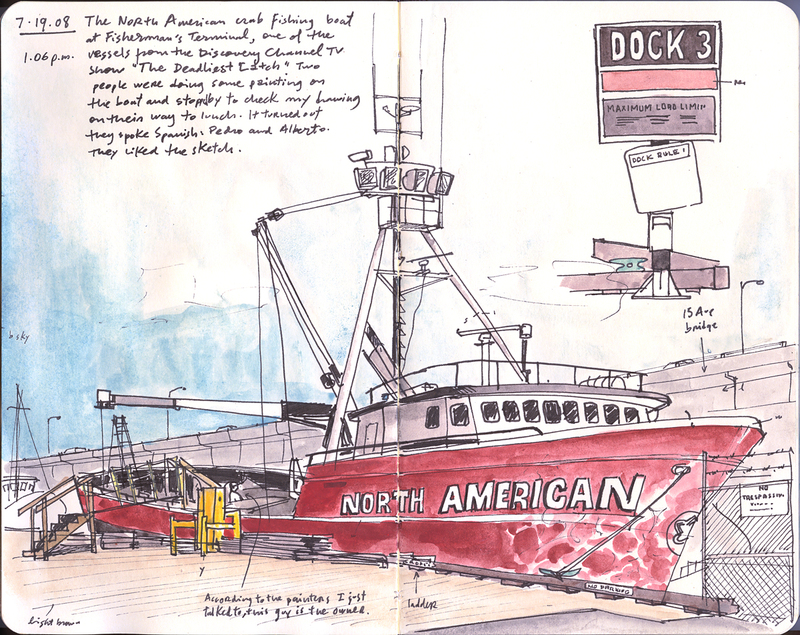 The North American, from The Deadliest Catch show, was at Fishermen's Terminal last year and I was able to do this sketch. Marvellous! Always love your annotated picture/stories -- this is the best kind of journalism! ... mmmm.... crab legs.... really nice drawing.